Oh Hayyyyy! 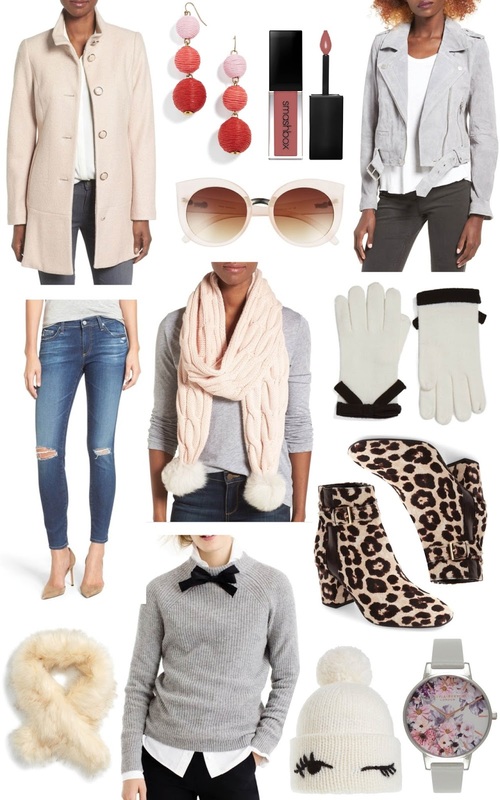 With cool weather just around the corner, I'm rounding up some of my favourite cold weather accessories to battle the cool temps in style ;) From pom pom scarves to statement sunnies and bow topped gloves - consider this your essential guide to maintaining your cool in the cold! Omg the scarves! And those leopard booties. SO cute! I need all of this! Great picks. Such a great biker jacket! I love the jacket! I haven't seen many in that color! Love a lighter grey! Makes it so easy to pair with different looks!